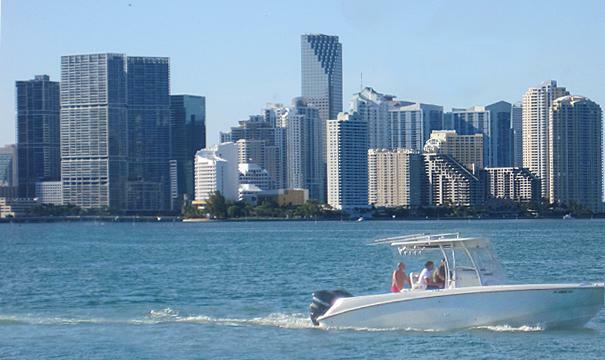 Take a private car around the South Beach or Downtown area and afterward take a CRUISE FOR TWO with Champagne and light bites including pate, cheese and crackers. Pay only $375 + gratuity Additional Hours: $	125.00 per hour **Language other than English: $	100.00 additional Additional guests? NO PROBLEM! Larger vehicle arranged with promo + additional costs. VALUE: $500.00 Contact traveltrackers@aol.com for more detail.